Secretary of State Mike Pompeo in a phone call with Pakistan Foreign Minister Shah Mahmood Qureshi also called for avoiding military action. Washington: The US on Wednesday firmly asked Pakistan to take “meaningful action” against terrorist groups operating on its soil after India’s counter-terrorism action against it and asked the two neighbours to exercise restraint and avoid escalation at any cost. US Secretary of State Mike Pompeo in a phone call with Pakistan Foreign Minister Shah Mahmood Qureshi also called for avoiding military action. 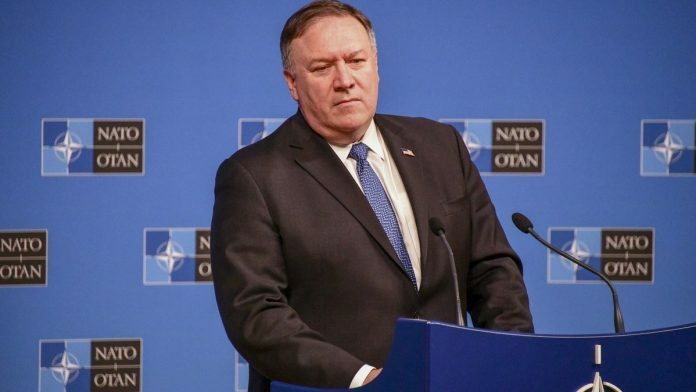 In a separate call with External Affairs Minister Sushma Swaraj, Pompeo emphasised the close security partnership between the US and India and shared goal of maintaining peace and security in the region. His statement came amid growing tensions between the two countries after 40 Central Reserve Police Force (CRPF) personnel were killed in a suicide attack by Pakistan-based Jaish-e-Mohammed (JeM) in Jammu and Kashmir’s Pulwama district on February 14, sparking outrage in the country. Following the incident, India on Tuesday bombed and destroyed JeM’s biggest training camp in Balakot in Pakistan’s restive Khyber Pakhtunkhwa province, about 80-km from the Line of Control (LoC), killing a “very large number” of terrorists, trainers and senior commanders. Pompeo is currently in Vietnam to attend the second summit between President Donald Trump and the North Korean leader Kim Jong-un on the denuclearsation of the Korean peninsula. “Following Indian counter-terrorism actions on February 26, I spoke with Indian Minister of External Affairs Swaraj to emphasize our close security partnership and shared goal of maintaining peace and security in the region,” Pompeo said in a statement. “I also spoke to Pakistani Foreign Minister Qureshi to underscore the priority of de-escalating current tensions by avoiding military action, and the urgency of Pakistan taking meaningful action against terrorist groups operating on its soil,” Pompeo said. “I expressed to both Ministers that we encourage India and Pakistan to exercise restraint, and avoid escalation at any cost. I also encouraged both ministers to prioritise direct communication and avoid further military activity,” said the Secretary of State. Last week, US National Security Adviser John Bolton told his Indian counterpart Ajit Doval that America supports India’s right to self-defence as both sides vowed to work together to ensure that Pakistan ceases to be a safe heaven for JeM and other terror groups.